I never really liked plants before, but that changed about a year ago. I was reading up on minimalism and creating a peaceful house. I’ve always thought that plants were for adults who were able to keep them alive. 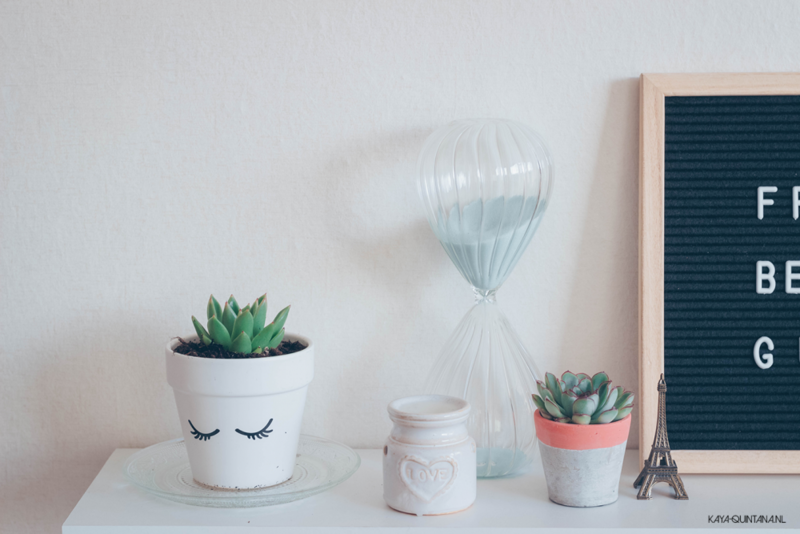 Little did I know there are some plants that I can easily keep alive, haha! 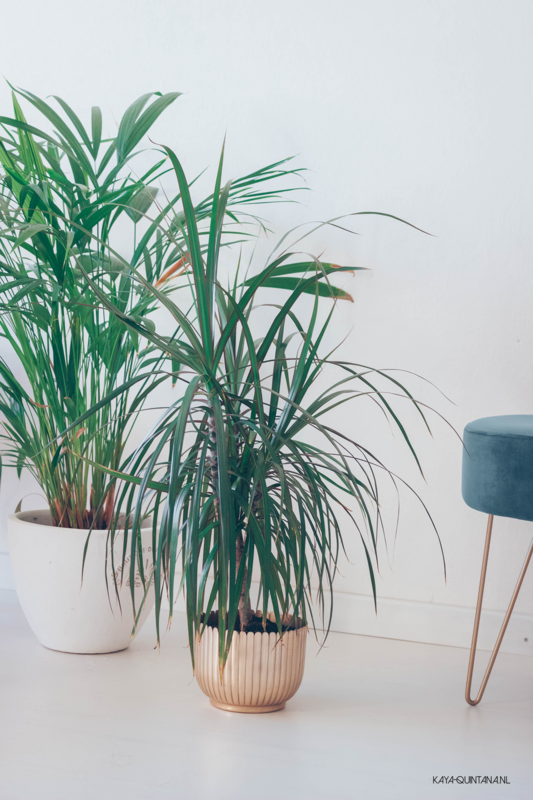 I want to show you my favorite plants in this article, because I really think they can add something positive to your house. Not only do they look good, they also give me a sense of peace and calmness. 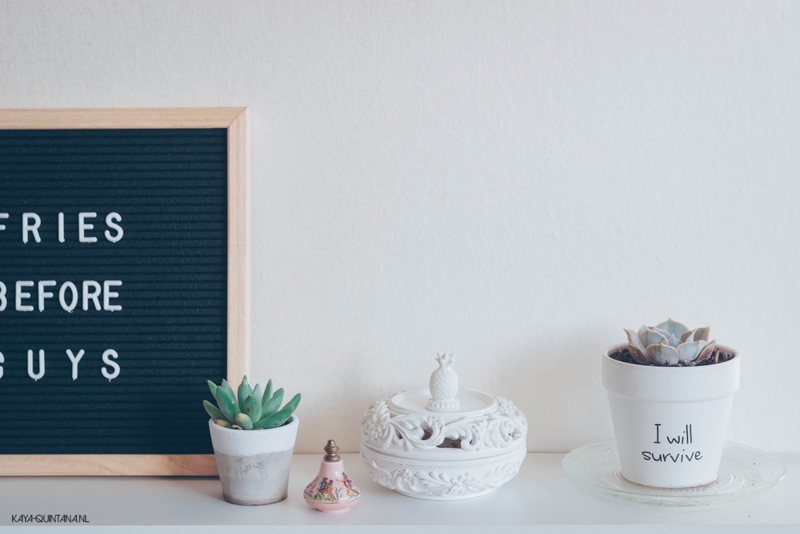 Another bonus is that they do a really good job at improving the air quality in your home. Can’t say no to that! 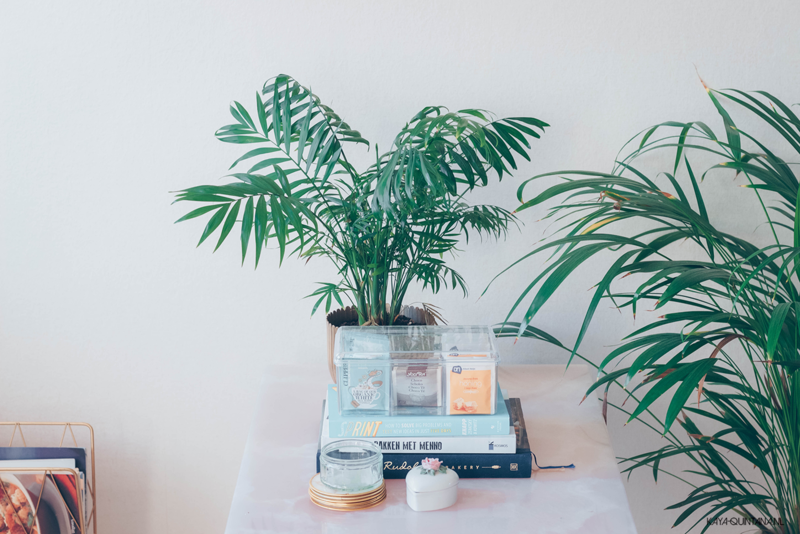 Let’s talk about the Areca palm or the gold palm as they call it in Dutch. 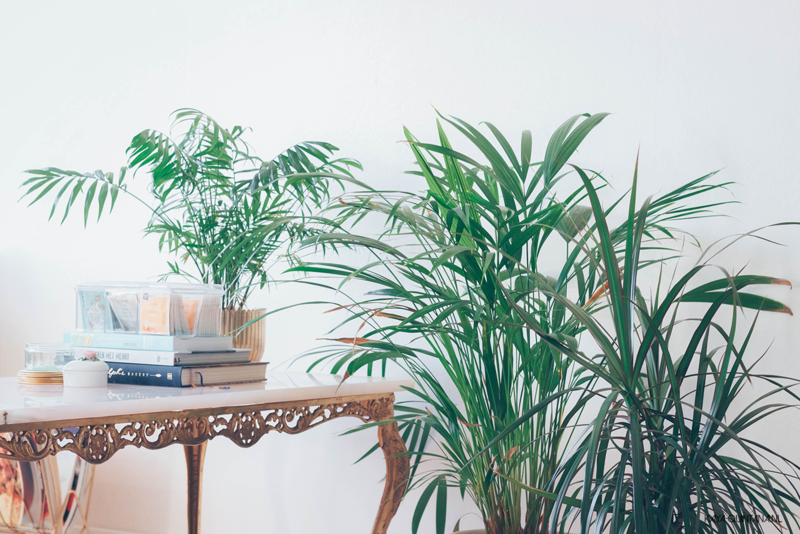 It’s a small palm plant which is perfect for a warm and sunny house. It’s very green and it has lots of playful leaves. This palm is very Pinterest-worthy, if you ask me. It can get pretty big, but it wasn’t very expensive at all. I think I paid about €12 for both of my Areca palms. One is a little bigger than the other, but I liked the size difference because it gives the room some depth. This palm is just so cute to me and it gives me a really homey feeling whenever I look at it. I also bought two Dracaena marginata’s which are growing so fast! These spikey looking plants are a perfect match for my Areca palms. They have a different leave and I love mixing these two together in my interior. These two really are a few of my favorite plants because they are very, very green. Their deep green leaves give the room some warmth and I like how the Dracaena marginata grows. The leaves can become very long, so you do need to make sure they have enough space to unfold. I also got myself two Chamaedorea elegans because this plant looks very tropical to me. It gives of a peaceful rainforest vibe and so I love having one in my bedroom. This is also a palm plant, but this one doesn’t grow that big. It pretty much stays at the same height and that’s why I love it for my bedroom. 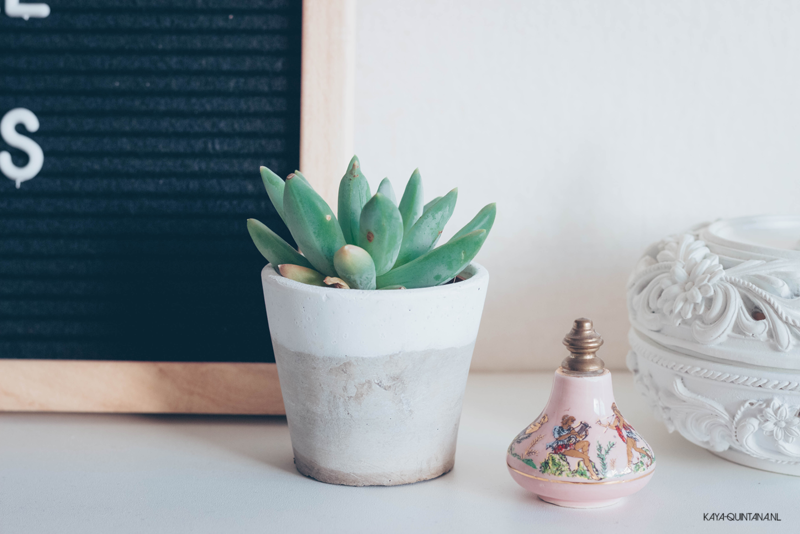 It’s very easy to place on a nightstand for a peaceful look. I also think it’s been creating better air quality since I have it in my house. The air smells different and it seems to be clearer. Perfect for a better sleep pattern. I recently got myself a couple of succulents. 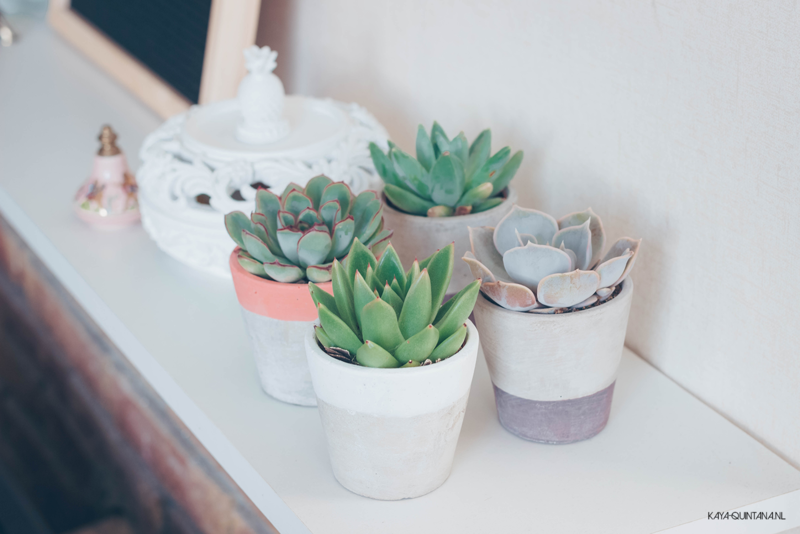 These cute little plants are very easy to maintain, and I needed some cute little ones for my white plant pots. I have a very sunny living room, so I think they will love it here. These were very cheap as well, I paid €8 for four of these little beauties. I also like how green they are and I love their different shapes. I have always loved small details like that and I can really appreciate it as a minimalist. And it’s all in the details, right? I hope you liked reading up on my favorite plants. 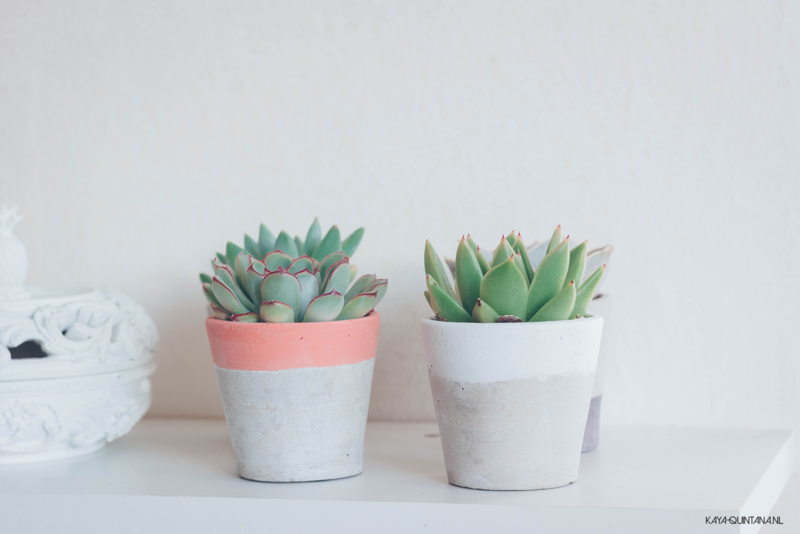 If you are looking for a couple of affordable plants that you can easily take care of, these are the ones! They were all under €10 and I got most of them for a really good deal. Do make sure your house is sunny enough to keep them happy. I water these plants once or twice a week, depending on how warm it is outside. I also have to be careful and keep them out of the sun when it’s really hot. They seem to burn and get yellow leaves when it’s too hot. Other than that, they are very easy to take care of and I have no allergic (hayfever) reaction to them! 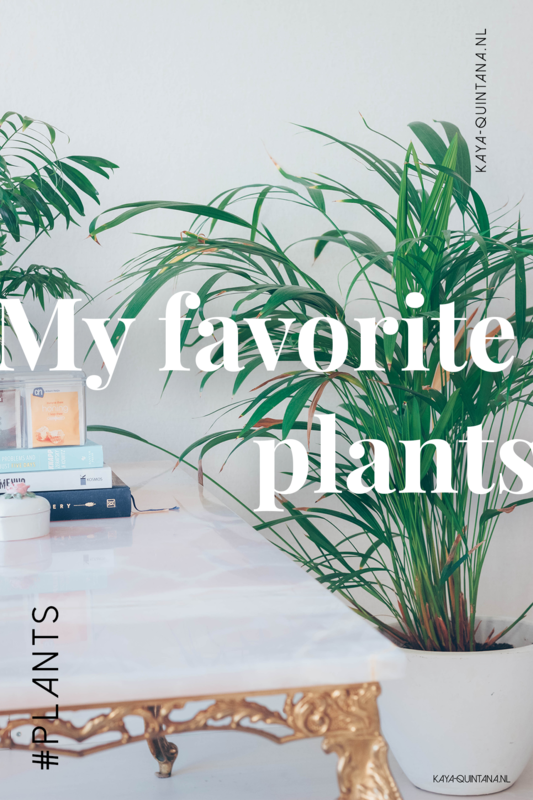 What are your favorite plants? P.S. Follow me on Instagram for more lifestyle tips.